Thermal ablation is a safe, effective treatment for early-stage lung cancer, according to a study of 29,000 patients from the National Cancer Database. Survival rates for patients who received thermal ablation were comparable to those who received stereotactic radiotherapy. Thermal ablation usually requires just a single treatment and precisely targets the tumor. OAK BROOK, Ill. — Thermal ablation is a safe, effective treatment for early-stage lung cancer, according to a study published in the journal Radiology. The results show that ablation may be an effective alternative for patients who cannot undergo lung cancer surgery because of age or health status. Hyun S. "Kevin" Kim, M.D. Non-small cell lung cancer (NSCLC) accounts for approximately 85 percent of all cases of lung cancer, the leading cause of cancer-related mortality worldwide. Surgery is the treatment of choice for early-stage disease, but older patients and those with other conditions may not be ideal candidates due to a higher risk of complications. Stereotactic radiotherapy (SRT), in which tumor cells are destroyed with targeted doses of radiation, typically over several visits, is a viable alternative in these patients, but the radiation sometimes harms healthy tissue surrounding the tumor and carries a risk of short-term and long-term toxicities. Thermal ablation offers another option, in which a probe is inserted directly into the tumor under precise imaging guidance. Cancer-killing treatment is then applied in the form of extreme heat, extreme cold or radio waves that destroy the tumor. "Thermal ablation is most often a one-time treatment, unlike SRT, which requires multiple visits," said study senior author Hyun S. "Kevin" Kim, M.D., from Yale Cancer Center and Yale School of Medicine in New Haven, Conn. "In addition, ablation delivers highly accurate and precise localized treatment only to cancer cells, minimizing the effects to surrounding tissue and keeping the toxicity low." 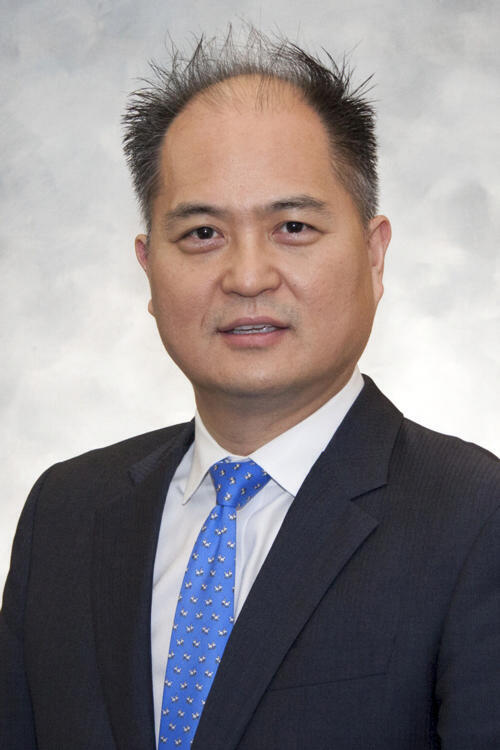 For the study, Dr. Kim, head of the Interventional Oncology Program at Yale, led a multidisciplinary team of thoracic oncology investigators in comparing thermal ablation and SRT for the treatment of early-stage NSCLC. The study group included almost 29,000 patients from the 2004-2013 National Cancer Database, including more than 1,100 who had undergone thermal ablation. Researchers compared outcomes over several years. Both treatment methods delivered comparable performance in terms of survival rates. The two-year survival rate in the thermal ablation group was slightly more than 65 percent, compared with 64.5 percent for the SRT group. At five years, survival rates were just below 25 percent for the thermal ablation group and slightly more than 26 percent for the SRT group. "The outcomes for patients who received thermal ablation for early lung cancer were quite similar to those who received SRT," Dr. Kim noted. Other advantages of thermal ablation include direct access to the tumor itself, which enables physicians to collect biopsy samples during the procedure—an option not available with SRT. "This is a real value to our patients, especially as tissue sampling becomes more and more important in personalized, precision cancer treatments," Dr. Kim said. The one-time treatment also has lower direct costs for patients and insurance providers, Dr. Kim said, and could prove to be a more cost-effective alternative to radiation therapy. The researchers are planning further study of thermal ablation's potential role in the total care of lung cancer patients. For instance, a combination of ablation with immunotherapy, an approach that uses drugs or substances made by the body to attack cancer cells, may produce better results than those of ablation or immunotherapy alone.